This entry was posted in Community, Home Improvement, Plumbing, Sewer and Drain and tagged El Niño, Storm Preparedness on August 24, 2015 by . By now the entire country is well aware the California has been experiencing its worst drought in over 1,000 years. So the news of an El Niño winter should be welcomed with open arms, right? Well, not exactly. Experts have predicted that the 2015 El Niño will be worse than its 1997 predecessor, which remains the worst El Niño on record. The 1997 storms led to disastrous floods, landslides, and mudslides off of California’s coast, destroying many homes in the process. So just because California is in desperate need of water doesn’t mean you should avoid taking steps to prepare for the upcoming El Niño season. Even if your area doesn’t end up flooding, it’s always safe to have a plan in times of high risk. Know your neighborhoods safe routes and the surrounding area. Draw or write up an emergency evacuation plan and go over it with your family. Don’t forget to include your pets in your plan! Make a list of all your possessions. In the event of a flood or devastating landslide, your entire home and everything in it could be destroyed. Make life easier for you and your insurance company by taking photos of your home’s interior and exterior and making a detailed list of all your belongings and their worth. It’ll save you more headaches in the future. Often times, flood insurance is a separate insurance plan from your regular homeowner’s insurance. Sometimes you even have to wait a month after purchasing flood insurance for it to take effect. So do yourself a huge favor – talk to your insurance agent about flood insurance today. Inspect your home for leaks. When the colder months approach, your pipes are at a greater risk for fractures leading to leaks and water damage in your home. 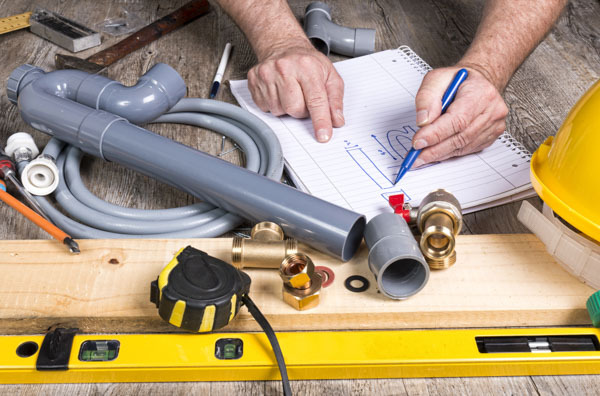 Have a certified plumber come and perform a safety inspection before the winter season begins. Check for water pooling in or outside your home, especially in the basement or garage. An El Niño season doesn’t just mean more rain, but also colder temperatures. Make sure your furnace is in working order so you and your family can remain comfortable during the winter.